The Berkeley Connect program opens up the extraordinary resources of the university to you: the extraordinary students on our campus. By joining, you will become part of a community of like-minded faculty, mentors, and students that will provide a supportive environment in which to exchange and discuss ideas and goals. Berkeley Connect will help you to make the most of your time at the university as you learn more about the major in Sociology. We’re excited to get to know you! Have you ever wished for an intellectual mentor who knows all the ins and outs of Sociology, both at Berkeley and in the world? Or wanted to meet other sociology undergrads in a setting that didn’t involve grades and homework?Â Or imagined figuring out what it actually means to read or argue like a sociologist? These are just some of the things you’ll be able to do if you join Berkeley Connect in Sociology.As Director of the Berkeley Connect in Sociology, I am excited about the program because it is one of the best ways I can envisage to help our students succeed and thrive at Berkeley and beyond. Berkeley Connect links undergraduate students with experienced mentors in Sociology. These mentors lead small groups of 10-20 students in regular meetings; they also meet with students one-on-one to provide guidance and advice. The core of the Berkeley Connect program is a one-credit, pass-fail course that is designed to create a community of students with similar intellectual interests. There is no homework associated with Berkeley Connect: no exams, no papers, no quizzes. Instead, small group meetings focus on sharing ideas and learning new skills within the Sociology major as a way to foster friendships and provide a supportive intellectual community for Berkeley undergraduates.The only requirement for joining Berkeley Connect in Sociology is that you have an interest in the field of study. You do not have to be a major in order to participate! Undeclared freshmen and sophomores are welcome, along with entering junior transfers and juniors and seniors who have declared the major. At the heart of Berkeley Connect is the relationship between you and your mentor. The Berkeley Connect mentors are advanced graduate students s in Sociology, who are chosen both for their demonstrated commitment to undergraduates and for their scholarly achievement. They are dedicated to providing the kind of close-knit community and one-on-one attention that can be hard to find at a large university. When you sign up for Berkeley Connect, you will join one of several small groups of participants in Sociology. Your small group will be led by your mentor, and will meet every other week during the semester for an hour-long dinner discussion sessions. Discussions will focus on key intellectual issues within Sociology as well as key skills you need to succeed in the major. Above all, the small groups will focus on building connections among students, so that each group becomes a supportive community for all participants. 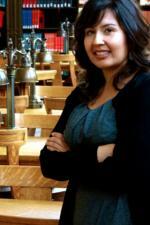 G. Cristina Mora (Director) completed her B.A. in Sociology at UC Berkeley in 2003 and earned her PhD in Sociology from Princeton University in 2009. Before returning to Cal, she was a Provost Postdoctoral Scholar in Sociology at the University of Chicago. Professor Mora’s research focuses mainly on questions of racial and ethnic categorization, organizations, and culture. Her forthcoming book, Making HIspanics, will be published by the University of Chicago Press and provides a socio-historical account of the emergence and diffusion of the “Hispanic/Latino” panethnic category in the United States. She is currently working on two new projects. The first examines how national Latino political organizations in the United States and Spain develop and implement panethnic agendas. The second assess clinical studies to explore how the rise of a HIspanic panethnic category influenced the discourse about race and medicine in the United States and abroad. 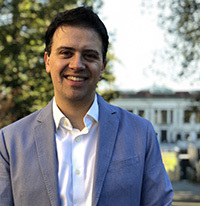 In addition, Professor Mora’s research on culture focuses on immigrant religion, as well as on the diffusion of Pentecostalism in Latin America. Her work is forthcoming or has been published in venues like the American Sociological Review, Ethnic and Racial Studies, Latino Studies, and Poetics. Jesus Camacho is a PhD candidate in Sociology. He grew up in Santa Ana, CA and obtained his bachelor’s from UC Irvine. His academic work focuses on race/ethnicity, incarceration, urban sociology, immigration, and political sociology. Jesus’ current project focuses on the news media representative coverage of officer-involved shootings according to race and ethnicity, using official police department data and linking it to local news coverage. Jesus looks forward to sharing his research experiences with Berkeley Connect students. Engaging with students as a teacher and mentor has been one of his highlight as a graduate student at UC Berkeley. 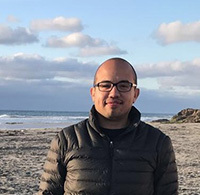 Michel Estefan is a PhD candidate in Sociology at UC Berkeley, where he also received Master’s degrees in Sociology and Latin American Studies. Born in the small town of Zitacuaro in the eastern part of the state of Michoacan in Mexico, he attended college in Mexico City, receiving a bachelor’s in International Relations and an MA in Human Rights, both from Universidad Iberoamericana. He is a political sociologist and a sociologist of law who uses comparative and historical methods to understand how legal cultures and institutions emerge, change, and decline. His first book, “Feeling Like Equals: A Gramscian Reading of the Historical Origin and Development of Human Rights,” was published in Spanish in 2015. He has a strong commitment to helping students from all backgrounds find their intellectual voice and thrive academically. He served as a mentor in the Sociology undergraduate honors thesis mentoring program for three years and then coordinated the program for an additional three years. He is excited to meet Berkeley Connect students and work with them to build a supportive community. Jessica Schirmer is a PhD candidate in Sociology. Her research interests focus on political, urban, and economic sociology, particularly historical accounts of relationships among the State, financial institutions and urban development. Her dissertation examines state intervention in mortgage markets from the New Deal through the contemporary period, focusing on how federal housing finance policy, real estate developers, and mortgage lending institutions have shaped the supply, cost, and quality of affordable housing over time. How to read and write for Sociology? How do you Research Society Anyway? To find sections in the upcoming semester, search the Schedule of Classes for Sociology 98BC (for first-year and sophomores) or 198BC (for juniors and seniors). Please see our FAQs. If you have additional questions about Berkeley Connect in Sociology, please contact: G. Cristina Mora, Faculty Director, cmora@berkeley.edu.